Are you going to the National Conference? If not, I certainly hope you plan to come to our State Conference September 20-21. 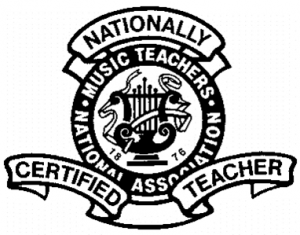 This kind of continuing education is vital to our continued growth and rejuvenation as music teachers! Is it any wonder that you see so many NCTMs floating around at conferences? These are the people we learn from. If you don’t already have these initials after your name, you can! Visit www.mtna.org; click on “Engage” and then “MTNA Certification Program.” Feel free to contact me at nbspahr01@comcast.net with questions. 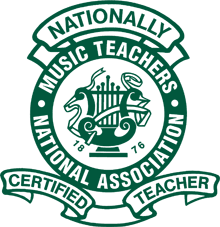 Curious about how to become a Nationally Certified Teacher of Music? Our certification, chair, Nancy Spahr will be giving an informal talk on the MTNA certification process at the home of member Sally Eppert (8580 Shoe Overlook Dr. Fishers) on Saturday, February 6 from 12:00-2:00. Please contact Nancy nbspahr01@comcast.net to let them know you’re attending. Certification is an important step in developing and maintaining your professional development. IMTA is pleased to note that seven IMTA members are newly certified! Carolyn Hertzler, chair of certification is making a plea for all full time and part time faculty to take the earliest opportunity to become nationally certified. The process is extremely easy and is outlined on page 29 of the current handbook. Please contact her if you have questions.